For recording your eLearning voiceovers, don’t waste your time and money on a headset microphone. It may seem more convenient, but you’re not going to get the quality of sound you need to keep people listening. 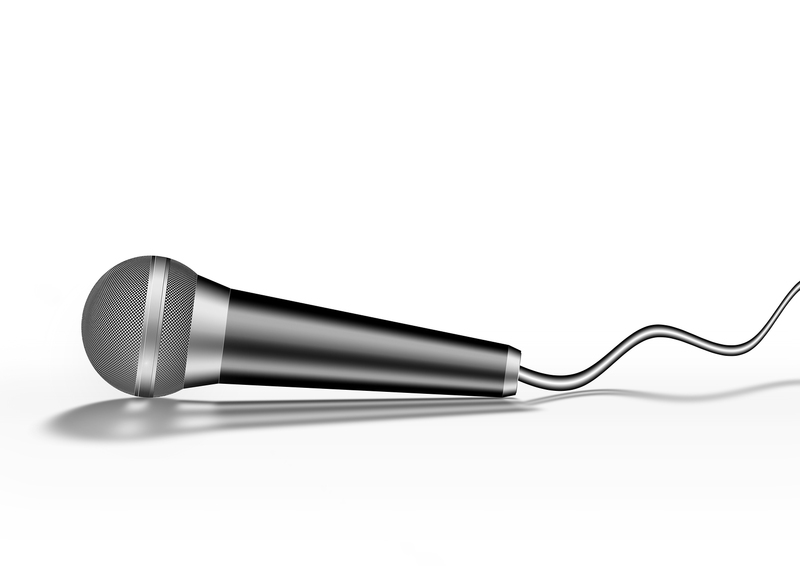 If you want great sound while keeping your tech simple and your costs low, go with a good quality USB microphone. There are many excellent USB mikes out there from which to choose; some sell for under $100. A few brands to consider: Blue, Audio-Technica, MXL, Alesis, and Samson. The Blue line of microphones is very popular, notably the Snowball and Yeti models. I have an entry-level Alesis, and also the higher-end MXL USB.009; both are excellent. 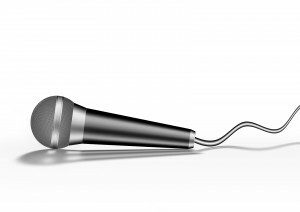 Microphones are designed to be either cardioid (unidirectional–it’s designed to pick up sound from the front of the mike) or omnidirectional (good for recording an interview, musicians, etc., where sound may be coming from a number of directions). And then of course, there’s the question of mono vs. stereo. For typical voiceover work, cardioid is all you need; you only have one voice, after all–and you speak in mono. But if you’re going to be using your mike for a variety of purposes, then you may want to find one that can switch between cardioid and omnidirectional modes, and between mono and stereo. Another reason to go with a standalone mike: you need to use a pop filter as well. A pop filter is inexpensive (some available for less than $15) and you place it between yourself and your microphone. Pop filters are a circle typically made of either sheer foam, or metal with tiny holes. You need a pop filter to help minimize the “popping” sound your plosive consonants (like “P” and “B”) can make when speaking into a mike. After all, mikes, like cameras, pick up everything. A pop filter can save you a lot of time by helping you avoid extra editing or re-recording. If you’ve ever watched a “making of” video with singers on television, and noticed that odd thin foam disc between the singer and the mike–that’s a pop filter! Headphones: If you want to listen to your work without distractions as you record, you may want to invest in a decent set of headphones. They don’t need to be audiophile; just solid quality. But if you’re using a USB mike, keep this in mind: you will need to buy a mike that has a headphone jack right on the mike, so that you are getting the sound before it goes to the computer. Because of the way computers process sound from a USB port, there is a 1-2 second lag that would make it maddening to try listening to your input on headphones that were hooked up to the headphone jack of the computer. If you only plan to wear your headphones when listening to playback, then this is a non-issue. But if you want to listen on headphones as you record, buy a USB mike that offers a headphone jack on it. More tips to come! If you’d like tips on a certain topic, add a comment or email me and let me know.